A beautiful villa with sea view. Ground floor consists of living room, kitchen, dining room, lavatory for guests, one bedroom with own bathroom, big terrace and storage. First floor consists of three bedrooms, each with its own bathroom and nice terraces. 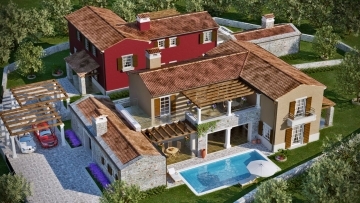 The house has a spacious pool and a summer kitchen as well as floor heating. The offer is without furniture.